The daily tools to change your word, discover how a year of fervent prayer impacts your life with this powerful daily calendar. Daybrighteners are deluxe perpetual calendars with a Bible verse or inspirational quote for each day. 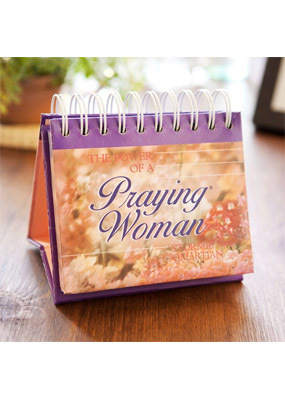 The Power Of A Praying Woman Daybrightener - Perpetual Calendar is published by Dayspring and is our 5918th best seller. The ISBN for The Power Of A Praying Woman Daybrightener - Perpetual Calendar is 081983246722. 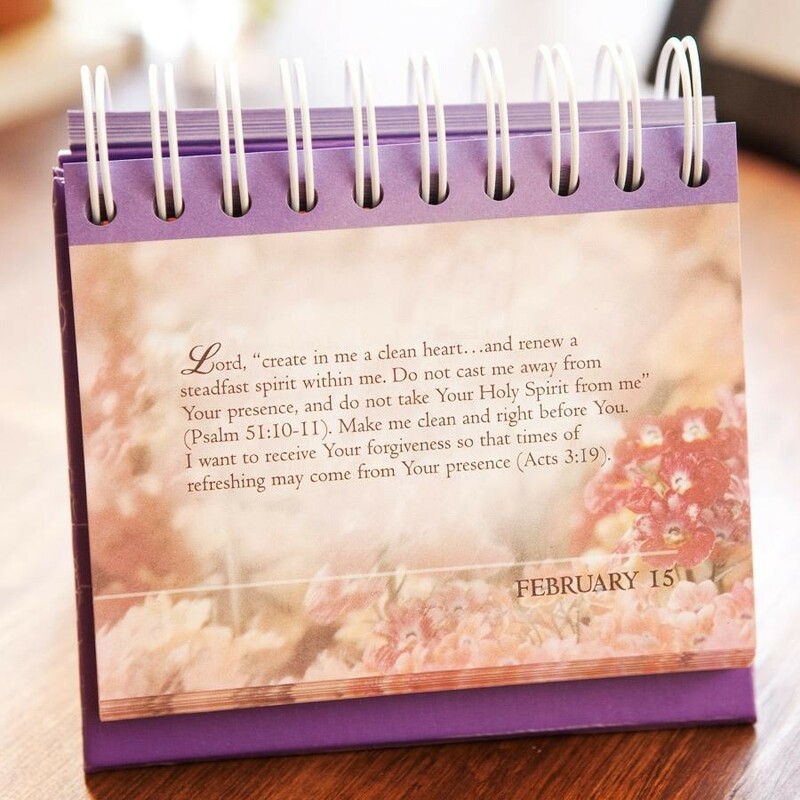 Be the first to review The Power Of A Praying Woman Daybrightener - Perpetual Calendar! Got a question? No problem! Just click here to ask us about The Power Of A Praying Woman Daybrightener - Perpetual Calendar. Other calendars give typed egs of what pages say please can yougive some of these. its not possible to read t from the image thank you. A:A sample page from the calendar reads: - January 5 We will never be happy until we make God the source of our fulfillment and the answer to our longings. He is the only one who should have power over our soul. - Thank you for using the Q&A Forum. I would like to see what the pages look like inside! A:I have added an image of one of the calendar's pages to the site. Thank you for using the Q&A Forum.